system hard drive making clicking noise? Home PC Support, Tech Solution system hard drive making clicking noise? <p style=”text-align: left;”>Hard drive is the most important storage device in a computer, which holds all your data. Often we come across problem with hard drive making clicking noise or faint beep at random intervals.Which may be caused by drive parking head, shock detection? What is happening when hard drive making clicking noise? 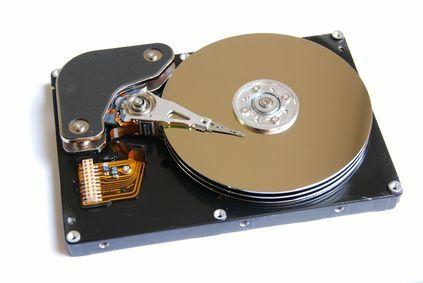 Data is written and read from the hard disk platter surface by a read /write head which is located at the end of an arm that moves across the hard disk platter surface when the disk spins. A faulty hard disk that produces a knocking sound is likely to have a fault on its read /write head. The knocking sound you can hear is caused by the arm of the hard disk knocking against other components in the hard drive. In some cases the hard drive is clicking due to drive’s actuator arm, this can be solved by giving the hard drive a mild shock to free the arm. But need to careful to open the hard drive case in clean room. The majority of disk failure is due to either damage to the magnetic layer, wear or damage to the spindle bearings or failure of the electronics. Damage to the magnetic layer is most often caused by the head touching the surface of the platter, either through mechanical jarring of the drive or contaminates getting between the two. When there any kind of physical hard drive problem first you need to safeguard your data before trying any kind of action. Backup your data by connecting secondary.If the data is not visible the hard disk recovery tools can be used for data recovery from noise hard drive. Hard disk recovery software supports recovery of data from FAT16, FAT32, NTFS, NTFS5, ExFAT formatted partitions.